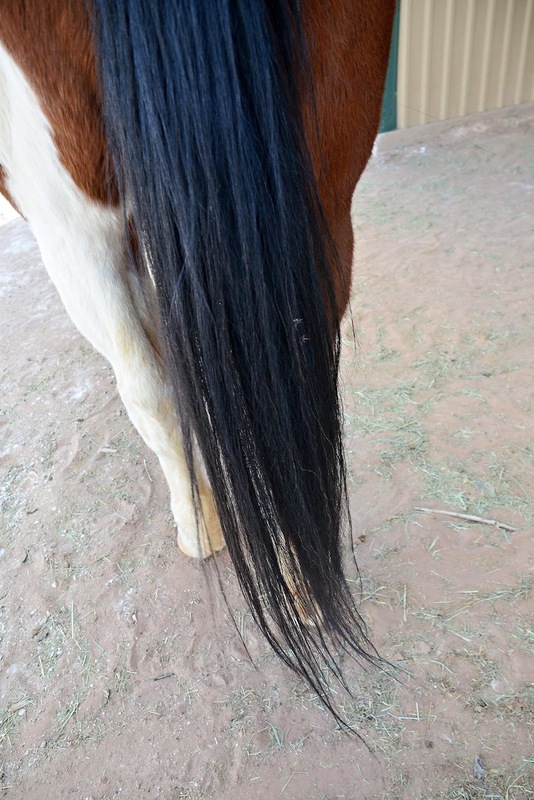 Alan's is a sad tail – short, tattered, uneven. Some would call it stubby. 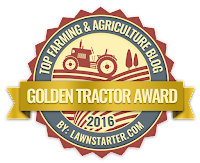 I don't think anyone is chewing on it. It's just naturally flawed. 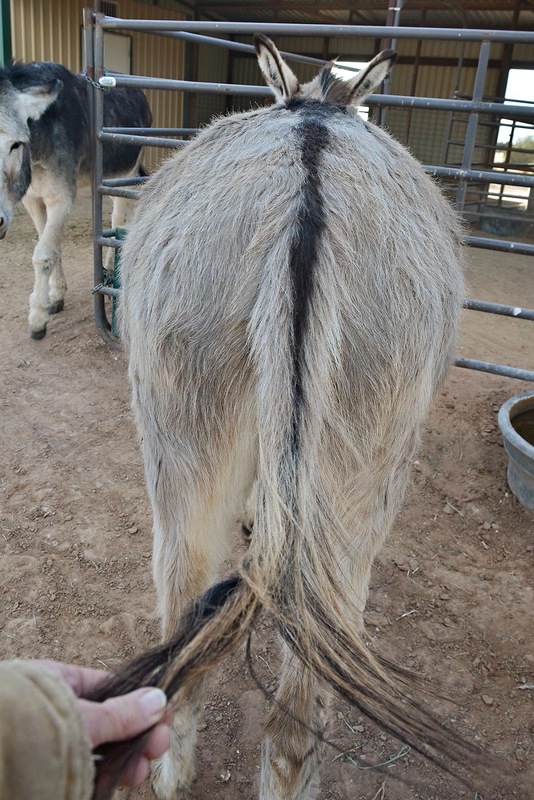 and I love how his dorsal stripe extends all the way to the end. 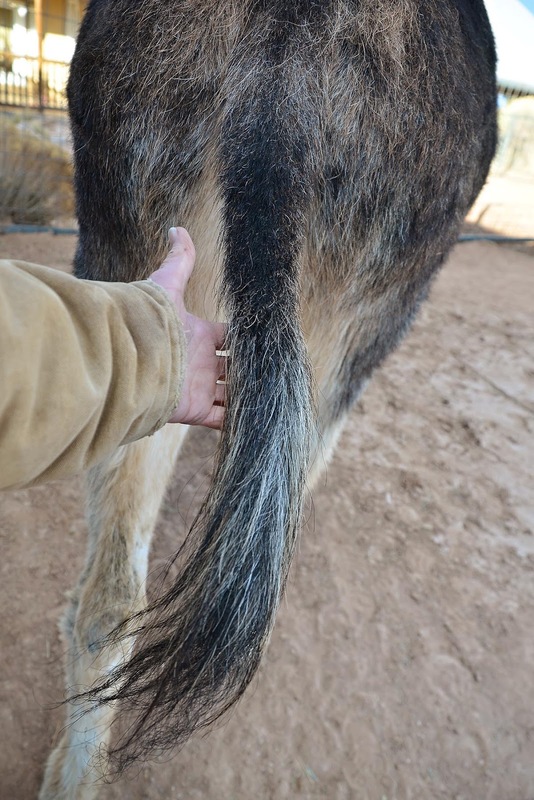 Lucy's tail is fairly typical for a donkey, covered with short, coarse body hair except for a tuft at the end. 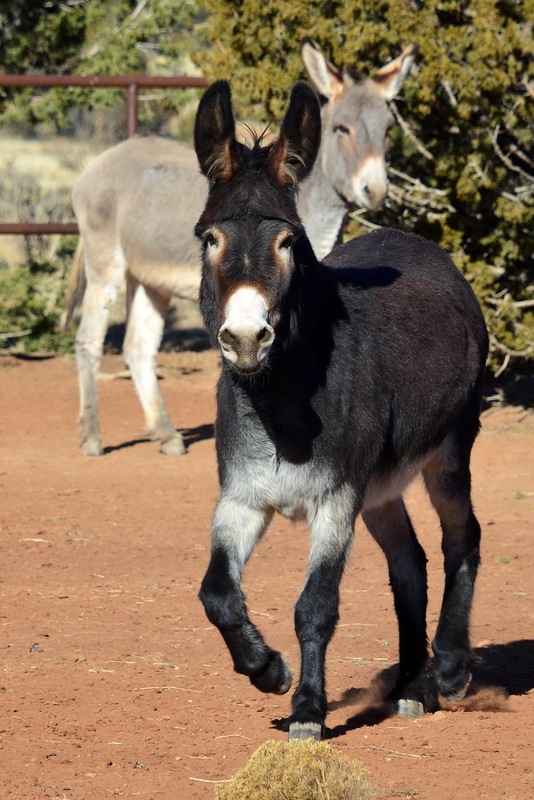 Donkey tails are worlds apart from horse tails. 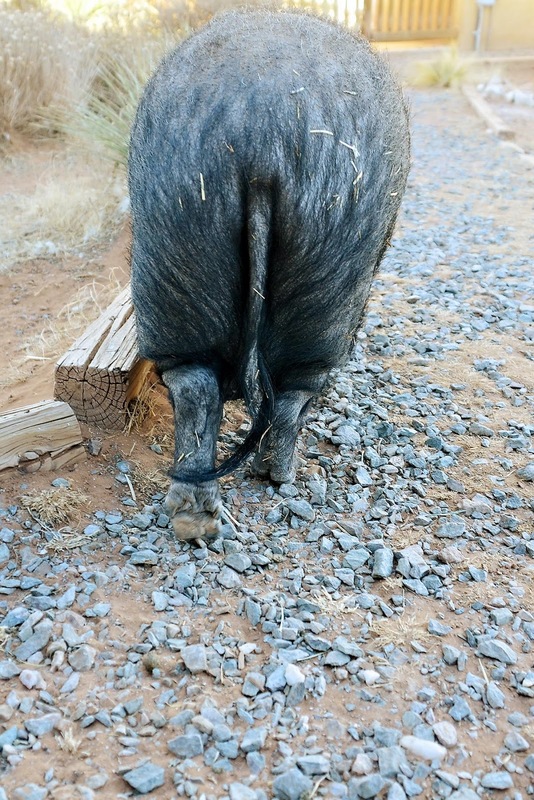 Hank's tail sweeps the ground and is thick and luxurious. 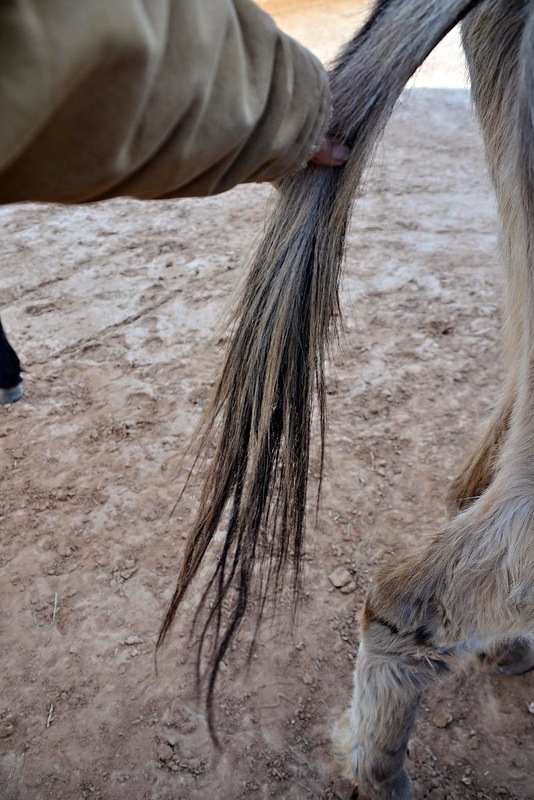 sort of a locks-for-love program for equines. Pig tails are in a class by themselves. Sometimes Johnny's tail is in a different zip code than the rest of his body. 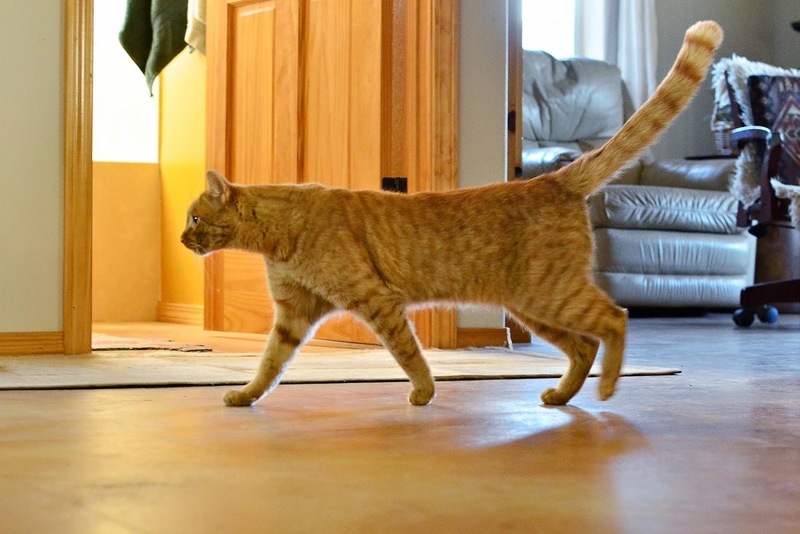 I've never seen such a long tail on a cat. 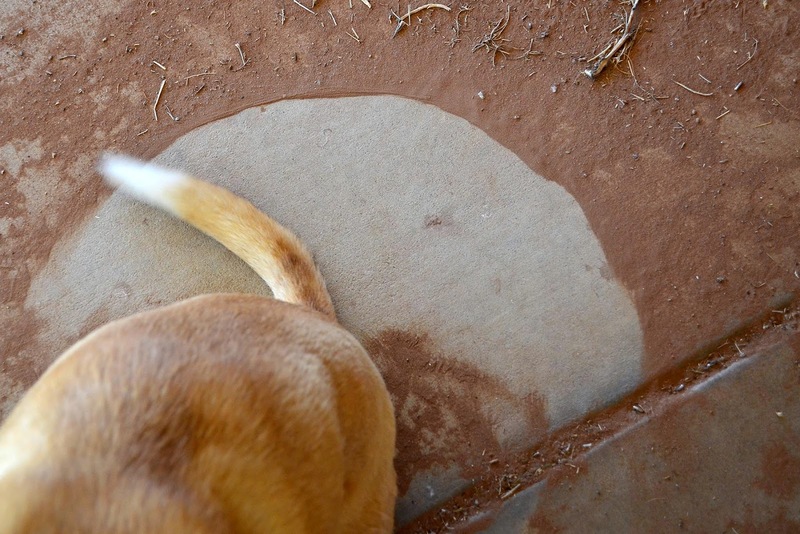 Smooch's tail wags so much, she can sweep the porch one section at a time. adorable ear tufts and eyebrows. And don't get me started on those flaring nostrils. 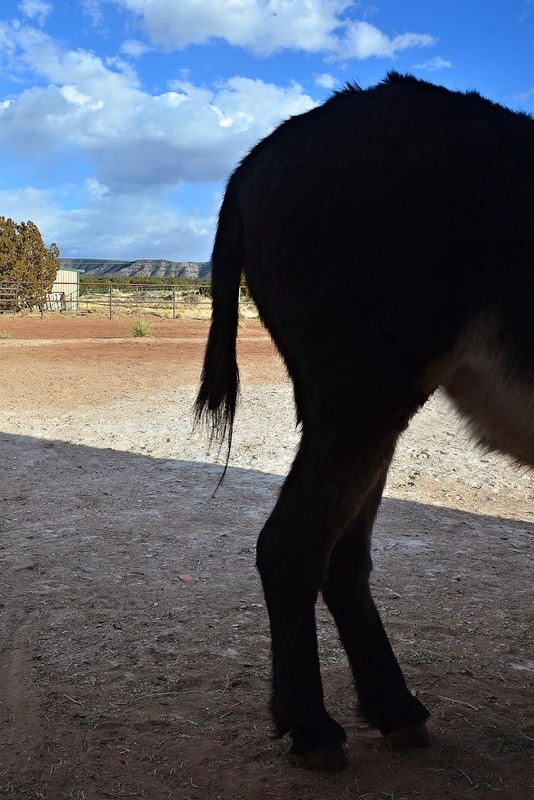 I adore the shot of Smooth's sweeping tail! 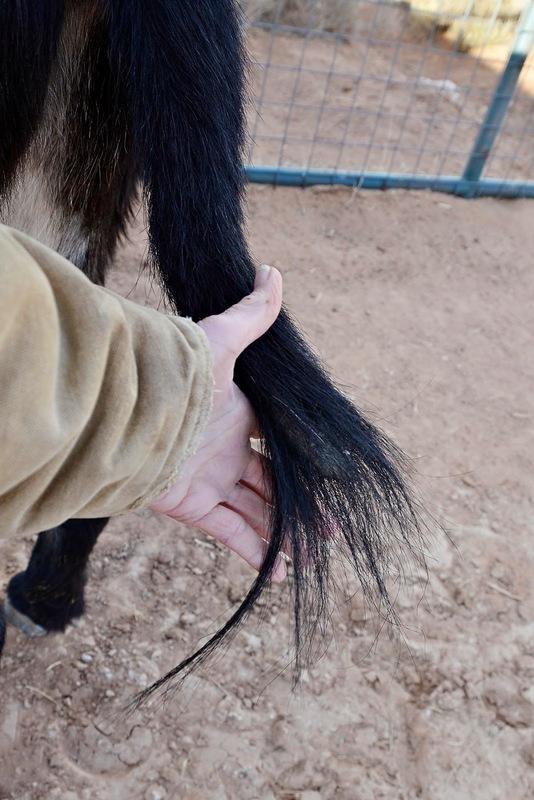 The tale of the tails. My favorite part of Alan is his eyes and the markings around his eyes.. his face has such character, so the tail matters not.. i truly enjoyed your Tale of Tails... Jakes tail is famous for making bruises on my legs. This is such a fun post. Love the tale of the tails. I love how everyone was represented here! That last picture is wonderful.